The extraordinary case of the $600 billion loan offer for Greece from an unknown self proclaimed “trillionaire” from Patras, Artemios Sorras and an equally unknown outside Astoria organization END (End the National Debt) seems to be a hoax. The motives of Mr Sorras and END (leaded by Dr Emmanuel Lambrakis) are still unclear. With a laconic denial, the Press Officer of the Bank of Montreal Ralph Marranca, (Corporate Media Relations refutes the allegations of the Chairman of the organization END (End National Debt doctor Manolis Lambrakis and “donor / investor” Artemis Sorras, that they have deposited in CDRs (Custodian Deposit receipts) from IBOEs (international bills of exchange) based on US Treasury Bills (U.S. Treasury bonds) valued at the maturity at 650 billion U.S. dollars in their banking institution. 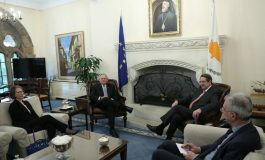 “If Mr. Stournaras is not willing to test the offer, we will take with us to Greece the director of the Bank of Montreal, along with Mr. Diamantopoulos (AKA Anthony Diamond of the “Diamond & Diamond”), before all Greek the media, to declare that a deposit of $600 billion has been made for Greece in Canada. Another named offered by Dr Lambrakis during his over two hour interview with Hellas FM was of Mr. Paul Terzakis, as the representative of “Federal Funding & Investments Group”. Greek News has spoken to Paul Terzakis (our conversation was in Greek) who is a real estate and mortgage broker in Toronto Canada. Mr Terzakis didn’t want to speak about the case, and he doesn’t have certain indications yet. He said it’s not the time for him to speak now and he suggested to us “not to be in a hurry”. He also promised someone else to get in touch with us to answer our questions. We are still waiting for the phone call. 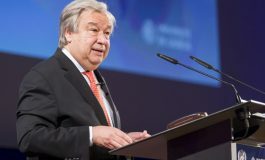 Meanwhile a senior Cypriot Government official told Greek News that when the END delegation met with a Finance Ministry official in September, the organization didn’t offer any proof for the existence of the funds. When the ministry official asked to submit the codes to verify the existence of the US Treasury bills, END members (including Sorras and Dr. Lambrakis) insisted a memorandum of understanding should be signed with the government. Another important event that made the Greek public realize that the whole thing is a hoax was a YouTube video showing Dr Lambrakis explaining in a public event how Artemios Sorras obtained the $2.8 trillion he claims. According to Labrakis, Sorras sold to US Government high technology “known to the Ancient Greeks since the times of Zeus and Apollo”. This technology enabled a US spacecraft to stay in space for 17 months without using fuel. We are now submitting all communiqués between Greek News and the Bank of Montreal. My name is Apostolos Zoupaniotis, I am the Publisher and Editor of Greek News, a bilingual Greek American weekly newspaper based in Astoria, NY. I am a bit embarrassed to raise this question with you, but the issue I refer to has created a big fuss in Greece. A gentleman named Artemios Sorras announced an “offer” to lend the Greek government the amount of $600 billion. The funds are in IBOEs payable in US Treasury bonds maturing in August 2014. This Mr Sorras named few Toronto based companies that are “involved” in the deal, one Diamond & Diamond MBG of Mr Anthony Diamond (with quite few cases in the courts), one “Federal Stock Transfer and Custody Agents, Inc.” of a Mr Greg Pappas and a “Federal Funding & Investments Group, Inc.” of one Mr. Peter Terzakis (Listening again to the interview we found out the name is Paul Terzakis). The “document” attached was revealed by a Greek MP who received it from these people and represents their offer. Now those” triillionaires” claimed to the press that the “custodian” Mr. Pappas opened two of – what he call – CDRs (He said Custodial Deposit Receipt I suppose), one for 600 BILLION USD for Greece and 50 BILLION USD for Cyprus. In all seriousness could you please tell me if you have any knowledge of this? Do you plan to take any legal action in the case there is a fraud? Editor of Greek News, New York, USA. Alexis told me that you are the one handling my crazy question. I just want to make sure you won’t forget me. You may also use this email address as well for back up. Yes, Alexis advised that you had called to follow up on reports that individuals or organizations had made a deposit of $600 bn to BMO. These reports are not credible. Beyond that we have no further comment. That’s not my job. My job is to confirm if what he claims is true. Who individual on this Earth can ask any Bank Anywhere about Accounts of Third Parties? Are you saying there are criminal bankers and news writers who break the confidentiality of bank accounts without any legal proceedings against the bankers and the reporters? Grow up, if that was the case, I personally could ask for anybody’s account anywhere in the world. Is this true? Is this legal? Stop the propaganda to fool people. You spread untruthful acts, and you promote Illegal activities. It’s very legal to ask a bank if it has received deposits that are larger its total deposits. They simply said the information that was published by the so called trillionairs “untrue”. Why it’s so hard to see how simple it is? My name is Luis Miguel Ochoa, and work at the Ministry of Development Planning of Bolivia . 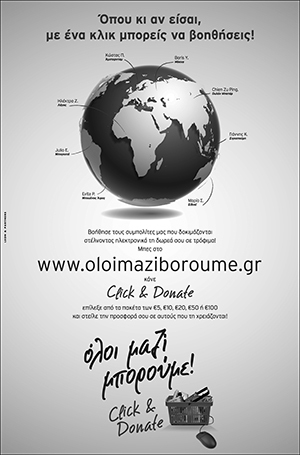 I wish to tell you that a month ago, a letter came to our offices of Mr. Artimios Sorras, which provides funding through the organization END ( End National Debt ) . Also indicates that Mr. Sorras holder owns International Bills of Exchange which is maturing in August 2014 based on US Treasury Bills. I doing some searching on the internet about the organization END and Mr. Sorras, I found the article published by the newspaper on October 14, 2012 , which give some information about this organization . As in Cyprus, Mr. Sorras want to sign a memorandum of understanding in Bolivia, before verifying the veracity of the International Bills of Exchange. Since the information about Mr. Sorras and END is limited , I would like to consult you if you have more information, because apparently , the financing offer of this gentleman is not true and may lead to fraud millionaires.